I know they are capable – they have it in them. They might not have the skills yet, but that’s why they are at our middle school, to prepare them for our rigorous High School. College is an option for all of our students here, not just a few, because everyone deserves to go to college. These students are our future and I truly believe that all of our students will become important members of society. What makes ACE different from other schools? 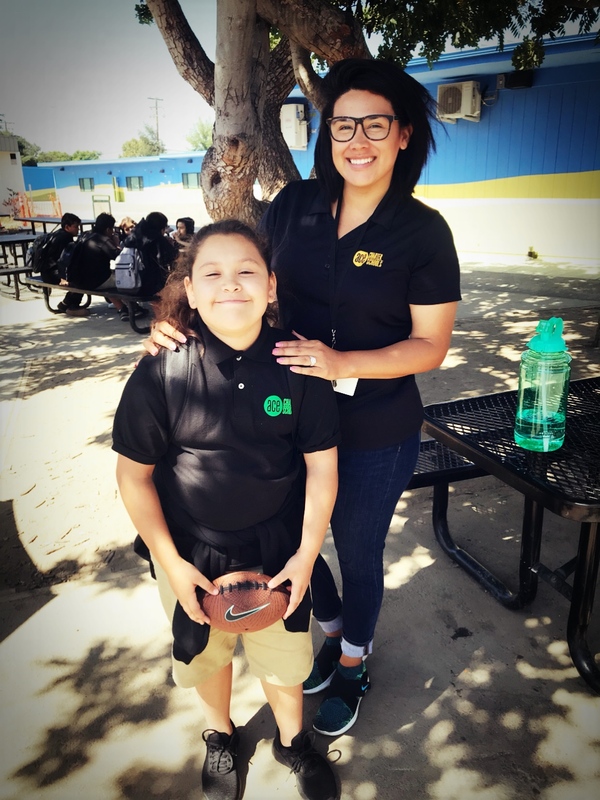 We are a Familia – when staff and parents come to our school, they are joining a family. We truly get to know our students and families – we know what they like and what they don’t like, we know what time Mom gets home. We know that if we knock on their door that we will be welcomed with open arms. ACE is Familia and the community we serve is our Familia. Our families learn that they finally have a team that takes in their worries and fears. We empathize with them, extend our hand and give resources they need. We connect with them – we celebrate when they celebrate, we are sad when they’re sad. We are a school that won’t let them and their child down. How is your journey similar to an ACE student? I grew up in a 2 bedroom apartment with a total of 4 adults and 5 kids. It was tough – we were all crammed in there. My parents worked everyday, so when I went to school, I attended the after school program until 6pm. Sometimes my Mom and Dad wouldn’t have time to pick me up because they were working late and made other arrangements to have a family member pick me up. I was hoping and expecting to see my parents pick me up, and at times they couldn’t. I see that hurt in some of our students. Sometimes we have an open house and they expect their parents to come and they can’t because of work. Our students hurt because they want their parents to be proud and present, but this is the reality our students face. I had no siblings at 8 years old, so I would walk myself to school and walk myself home. Many ACE kids bring themselves to school, and at the same time, they have to also get siblings ready because their parents are working. When I was in high school, my cousin Ana planted the seed that I needed to go to college. I just didn’t know how. Then, my sister in-law Veronica brought it up to my parents, but they said that they didn’t have that kind of money. I had to figure it out because they had no clue where to start. I was very connected to my softball coach Kelly – she was my role model. She guided me through high school and pushed me to apply to college. Thanks to my cousin for planting the college seed, and my sister in-law and coach for helping me through my college career at San Jose State University.